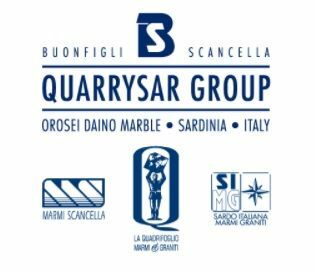 BS QUARRYSAR GROUP distributes its key products throughout the European and international markets within the marble sector. The group has its quarries in Sardinia and the best quality Italian marble in the world. BS QUARRYSAR GROUP distributes its key products throughout the European and international markets. LA QUADRIFOGLIO MARMI E GRANITI S.R.L. is the commercial subsidiary of the group and is headquartered in Verona, an important hub for the marble industry. We process the best quality of Italian marble in the world such as Breccia Sarda, Orosei marble, Daino reale (Dyno reale). Thanks to our considerable experience and high technical and commercial organisation.